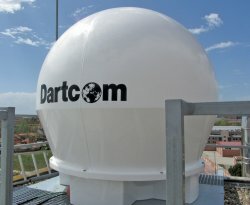 Dartcom is pleased to announced the availability of its new X-Band EOS System, a low cost, compact solution for receiving and processing direct broadcast data from X-Band earth observation satellites, including Terra and Aqua (MODIS), Suomi-NPP and FengYun-3 (FY-3). The system is aimed at universities, research institutions and other organisations with limited budgets and restricted installation sites. However Dartcom has not sacrificed performance and features, as Chief Electronics Engineer Dave Wright explained. 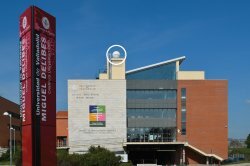 “We use a 1.5m radome enclosed antenna with carefully chosen RF components, tight tolerances and our own tracking and ingest software. Extensive testing proves that good data reception is possible from 5 degrees elevation and the antenna operates normally in wind speeds up to 185km/h”.